Search explicitely for inactive funds. View nearly two thousand funds that don't exist anymore, including their complete track records. Make informed decisions - view all funds of a manager that have been shut down in the past or are inactive. View Morgan Hedge's proprietary fund ratings for every fund. Funds ranked for their rating and overall performance. Download and export the complete performance record in XLS format. Print and download comprehensive up-to-date pdf-reports for every fund. Reports come in English and German and are updated daily. Download Sample Hedge Fund Report | Download Sample Performance Excel Sheet. In depth quantitative statistics and analysis. Search for funds combining various qualitative and quantitative criteria. Full contact details enable a fast and uncomplicated communication. 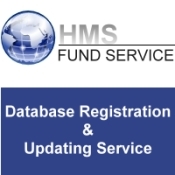 Download offering memorandums, questionnaires, presentations and other documents provided by the funds. View fund and manager profiles that help select the right investment.